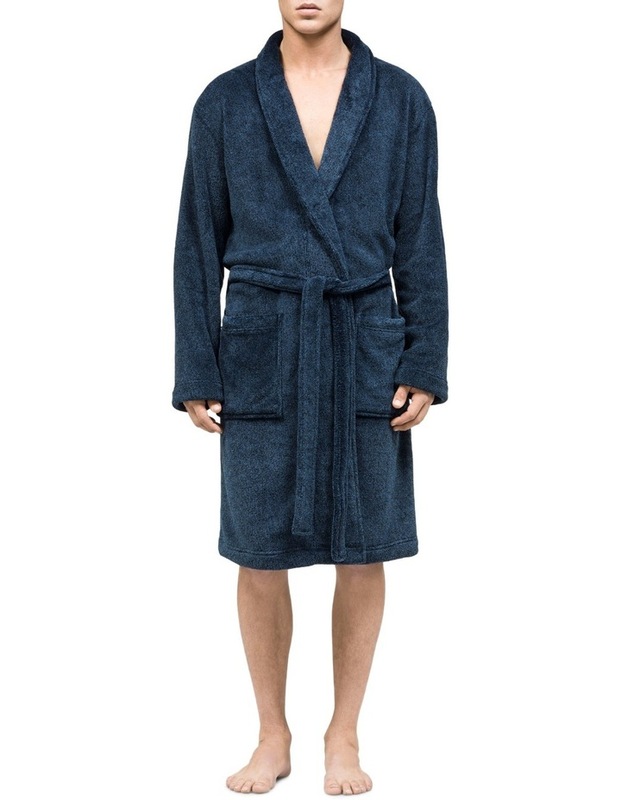 Relax in style with this Modern bathrobe from Calvin Klein. 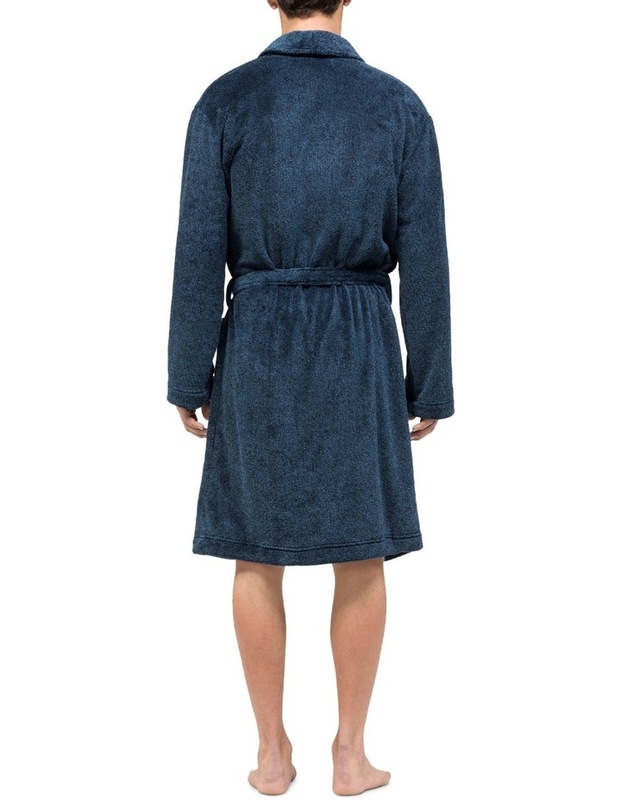 This bathrobe features the iconic Calvin Klein branding in a navy heather. With two large pockets and a fabric tie belt, this robe adds a touch of luxury to your bathroom.